AJ Griffiths Engineering Ltd. of Worcester is a family-run business and has been operated since 1994. 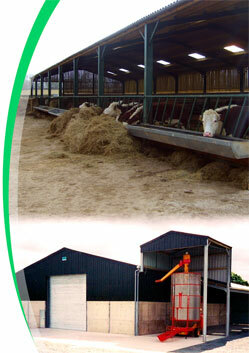 We manufacture steel-framed buildings and extensions to customers' requirements. Having manufactured and erected many buildings for farmers and businesses in the surrounding area, we can supply just a steel frame right to a completed and commissioned industrial unit. Our workshop also has experience in fabricating fire-escapes, stairs, balconies, hand rails, and most other structural types of steel work. All our steel work can be provided natural, factory painted, or hot dipped galvanizesd. Please browse our website where you will see examples of our work. Please contact us via the Contacts page for general enquires or for requests for testimonials.